Share Your DIY Solar Energy Projects with the World! If you are a hands-on home owner, there are many do-it-yourself solar energy projects you can choose to do! In reality, any solar project can be implemented by a homeowner as a DIY project - some are just more complex and challenging for a DIY project than others. Why bother with a do it yourself solar energy project in the first place? 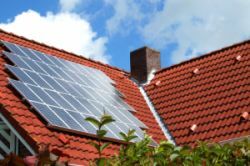 Well, here are some of the most common reasons why home owners choose DIY solar projects. 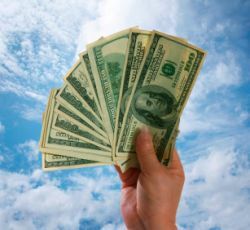 Save Money: Labor costs can be a significant portion of the total cost of a solar energy project. For example, the labor for a PV system can run around 12% of the total costs. For other types of projects that don't require substantial material costs, the labor percentage will be even higher. By doing the project yourself, you can save the labor costs that you would pay to a professional. Learn About Solar Energy: There is no better way to learn about solar energy than by doing the work yourself. You'll also learn how your home's systems work and how your home fits into it's environment. Independence: If you own a home or cabin in a remote area, it is important to be able to handle the various issues that pop up yourself. By doing the initial work yourself, you are much better equipped to maintain and enhance your solar energy solutions without having to rely on others. Scalability: With a little planning, do it yourself projects allow you to start small and gradually build up your solar energy solutions. This allows you to gradually increase your solar energy knowledge and skills while controlling your costs. Even with these very strong benefits to doing a home solar energy project yourself, deciding whether to move forward with it yourself or to hire a professional should not be taken lightly. Have you completed a DIY Solar Project? Then add it to the DIY Solar Energy Gallery! Should I do the Project Myself or Hire a Pro? When deciding whether to tackle a solar energy project yourself or to hire a professional, you should consider the following key criteria. Does your project need to be completed by a certain date? If so, using a professional to perform the work should be seriously considered. Professionals do this type of project day in and day out, so they can provide a realistic schedule based on their experience. Projects where time isn't a major factor can be ideal for DIY solar projects. However, even then you need to consider how much YOUR time is worth. Even with a simple project, you can end up spending a significant amount of your time getting it done. What's your time worth? By doing the project yourself, you will save in the labor costs involved in contracting the work to a professional. But you should also consider the dollar value of your time and the cost of purchasing specialized tools you will need for the project. An important factor in your decision on whether to do the project yourself or to hire a professional is the amount of risk for the project. Safety Considerations: It is important to realistically assess your skill level in order to ensure you can safely implement a project. In general, most home owners should give serious consideration to using a professional for projects that involve roof work (especially if your roof has a steep pitch), electrical work, or requires working at heights that require a tall ladder or scaffolding. Financial Considerations: If you don't have the skills and experience for the project, a mistake can be costly. 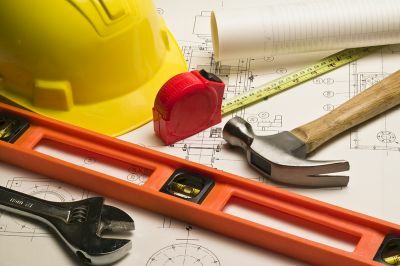 If the project isn't done correctly the first time, it can be very costly to repair. A realistic assessment of your skills is needed in order to avoid a mistake that can end up costing more than you tried to save by doing the project yourself. A critical step to getting started with solar energy is to develop a Solar Energy Master Plan. The master plan takes into account your solar energy goals and allows you to prioritize the projects needed to meet those goals. The Master Plan should also identify the solar projects you will do yourself and those you will contract out to professionals. In addition to the master plan, each solar project should have it's own project plan. This is especially important for DIY solar projects. A good approach to follow when taking on a do it yourself solar energy project is to start small. This will allow you to learn more about solar energy and to gradually gain the experience needed to take on larger or more complex projects. Before you know it, you will have a number of solar projects successfully completed! 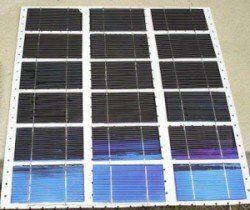 Once you have completed your DIY solar project, why don't you add it to the DIY Solar Energy Gallery? Ready to Share YOUR DIY Solar Energy Project? Whether your project is large or small, add it to the DIY Solar Energy Gallery! Include a photo if you can! More than one photo? Let me know so we can get them included as well. By the way, the largest picture size we can take is 800x600, so please resize it before uploading if needed.